Television show season finales have a tendency to send fans into a frenzy, even before the last episodes air. Some programs have a greater hold over viewers than others. Shows like AMC’s The Walking Dead, for instance, drew 15.8 million viewers for its Season 5 finale on March 30. The program broke its own record of 15.7 million finale viewers last year for Season 4’s final episode. This week, Deadline reported that 10.4 million of those viewers were in AMC’s key demographic. While finales for many shows are infamously full of climactic, edge-of-your-seat moments, The Walking Dead boasts that kind of excitement in almost every episode. It’s a zombie thriller, after all. What makes The Walking Dead’s finale so unique is its timing and its ruthless storytelling techniques. 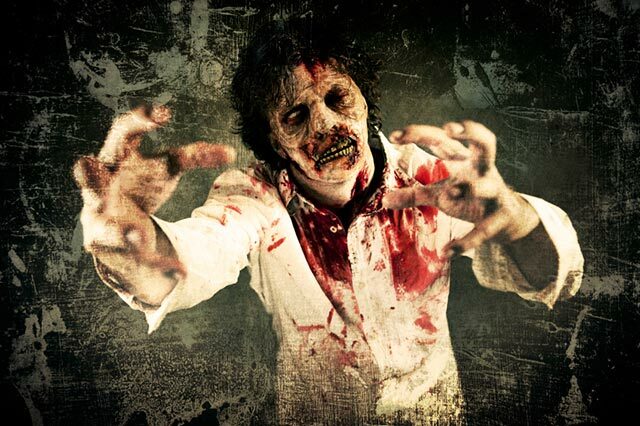 Marketers can take a page from The Walking Dead’s book to do more than survive a zombie apocalypse. Marketing teams can enhance campaigns by surprising consumers with memorable encounters when they least expect them. Today in the U.S., a single season of television is usually comprised of 20 to 26 episodes that air between September and May. In the past few years, some networks have mixed that formula up by airing mid-season or winter finales. According to IndieWire, these types of finales air just before the program goes on hiatus for a significant amount of time. They run in late fall or early spring, as other shows continue regular programming. Networks use this tactic to spread out ratings and earnings over several quarters, generating more even financial gain throughout the year. AMC has taken this course with The Walking Dead to not only build up greater momentum throughout the show’s running, but to give fans a mid-season gift that also keeps them hooked. Marketers can apply the same logic to their campaigns. Rather than banking on a single creative concept influencing a consumer’s buying decisions, marketers should try building up to multiple rewards over the course of a campaign. It also behooves advertisers to establish a sense of urgency among customers. Setting deadlines or promoting limited editions are excellent ways to emulate the success of The Walking Dead approach. Another perk of a TV show’s hiatus is that it gives stragglers a chance to get caught up over a specific time period. Letting the public know certain release dates lets consumers plan their purchases and engagement. Meanwhile, binge watching, where fans watch several episodes (or an entire season) in one sitting, has become an incredibly popular way people watch TV. Online streaming sites and subscriptions to services like Netflix and Amazon Prime have helped the binge-watching phenomenon take off. People want to get to the juicy, gut-wrenching moments that the writers have built up to all season. They want to get to the finales. With mid-season or winter finales, fans can get that release sooner and more often. They don’t grow bored with content, and are given new or developing plotlines to obsess over until the next episode airs. Marketers can think about how to capitalize on a concept like binge-watching with their content creation. Consider offering episodic pieces of content, either videos, a series of ebooks, and so on, and create cliffhangers for emotional connections and to build anticipation. However, The Walking Dead does break the binge-watching mold in some respects. Because online forums explode with analyses and deconstructions about these season conclusions the day after airing, most people prefer to tune into The Walking Dead live. It’s this popularity and the fans’ desire to interpret the show and predict what happens next, that keeps people hooked and watching in real time. Because of the discussion the story generates, no one wants to miss a moment of it. It’s that storytelling that may be arguably even more influential to the viral popularity of The Walking Dead. It tells an incredible story. The writers of the program don’t just leave viewers with plot cliffhangers; they make their fans care deeply for the show’s characters and then actively kill those characters off. Variety argues that the show actually takes an unconventional approach to storytelling by navigating away from expectations and veering closer to an emotional tale of survival and ethics. The investment in this type of narrative stems from the same energy that consumers apply to making sure they are the first in line for a new product. No one wants to hear about what happened on TV last night secondhand; it’s better to be the person explaining to everyone else why a main character was eaten by zombies. Once consumers are hooked to a product or service, they will never want to miss out on an update or improvement. Online forums run rampant with speculations as The Walking Dead builds up to its season finales. This is because the writers have established an “anything goes” mentality when it comes to plot and character. Viewers use evidence gleaned from previous episodes and seasons to try to predict what direction the show will take. It feels interactive. The writers have found a way to continually, and simultaneously, shock and delight their followers. Pacific Standard reported that a series finale of a beloved television program even has the ability to negatively impact the stock market. Gabriele Lepori, an economist at Keele University, stated that when a TV show with a huge following in the U.S. ends, viewers enter a sort of depressive, lonely psychological state (we all know this feeling! Sopranos series finale anyone?). People feel that they have befriended the show’s characters over several years and when those characters no longer exist in new capacities, human beings fall into a collective funk, which reduces their willingness to take financial risks. This proves that compelling stories delivered on a regular basis with engaging characters that elicit compassion in consumers can have a dramatic effect on the economy and spending habits. Marketers can approach campaigns with these tools in mind to help them better connect to customers and keep them hooked. Until the next campaign, of course. Do you have a campaign that you think perfectly captured these lessons? I’d love to see your examples in the comments below. The post The Walking Dead Approach to Slaying Marketing appeared first on Marketo Marketing Blog – Best Practices and Thought Leadership.